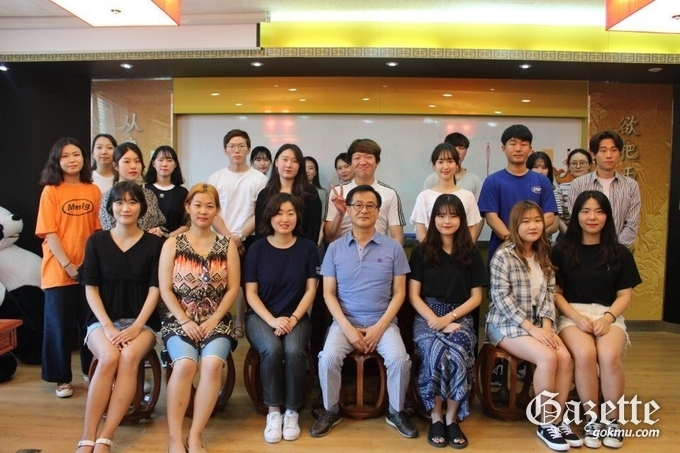 The Confucius Institute at Keimyung University has produced a number of Chinese government scholarship students reconfirming its status as a leading institution in Chinese language education in Korea. The institute held a departure orientation for 28 Chinese government trained students at Uiyanggwan on August 27. In order to apply for the scholarship program at the Confucius Institute, students are required to have a strong Chinese Language Proficiency Test (HSK, HSKK) grade and to participate in Chinese language education conducted at the Confucius Institute at Keimyung University. During their stay in China, students will be exempt from full tuition and boarding fees and will be given scholarships such as monthly living expenses. The institute has produced more than 300 scholarship students since 2009. The institute also regularly recruits students starting in March every year and will be a great opportunity for students interested in the Chinese language and China in general.